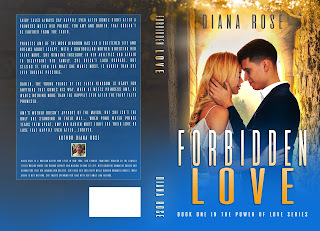 It is New Year's Eve, and though this post will not go live until next week, I am excited to have completed the final story that I will read in 2018, Forbidden Love, the debut novel of friend and fellow author Diana Rose. This story, which showcases a Romeo and Juliet trope got me thinking about soulmates, an idea which seems to be rather controversial in this day and age. 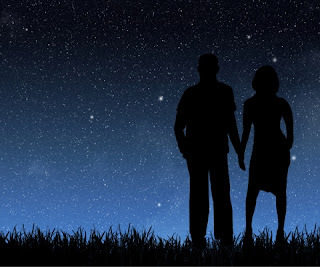 Many people don't believe their soulmate exists, or perhaps they did at one time but their hopes have been dashed by the harsh reality of the world today, or the overall cynical attitude that seems to dominate our modern society. I'm fortunate, not only to have found my own soulmate after years of searching, but to be a part of a community of writers who believe so strongly in the power of love that they've dedicated their careers and talents to showcasing love and romance. There are many different forms of love, and if I broke them all down I could probably talk about them forever. But for the purposes of this article, I would like to focus solely on romantic love and whether or not a soulmate is a key ingredient in finding it. What constitutes a soulmate? I think the reason that perhaps this question is so difficult to answer is because the answer really is different for everyone. When seeking a partner, we're all looking for different things. As romance novels often demonstrate, the person that we fall in love with may be the last person we wanted to, and perhaps the worst person that we could possibly fall in love with, at that point in time. This makes for a very interesting conflict and often a very exciting story, but in real-life, circumstances aren't always so larger-than-life. Perhaps we meet our partner at random, while at work, while out with friends or via the internet, as many in our society do today. There are a lot of different ways that someone can become a part of our lives, but determining they are the missing part of our heart, maybe not so easy. Or, maybe it is. Sure, life has its ups and downs but when a force we can't explain drives us in the direction of another person we feel as though we've known our whole lives, maybe we've got something there. 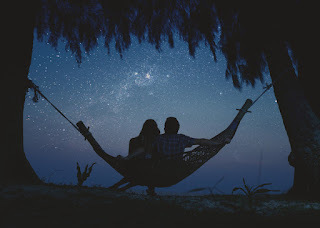 Though I encountered a lot of cynics throughout my young life, I always believed I had a soulmate out there and when I became discouraged, I'd read a romance novel, which renewed my belief in the power of love. Keeping the faith isn't always easy. A good book can definitely help! Does everyone have a soulmate? Is there one right person and only one right person? These are even harder questions to answer. And perhaps the best way to answer them is to simply say that love is a great mystery. Though it is the very foundation that holds us together, we, as people, do not fully understand it, and perhaps that is a part of what makes it so miraculous. If a spouse dies, or if we've partnered with the wrong person, I believe that love can give us a second chance. Perhaps this means there is more than one "right person" out there for us, but more so, I believe that we are all where we are meant to be, at this moment in time. We need to have faith in ourselves, and in our desires. The heart wants what it wants and if we believe that to be true, then we must first and foremost always be true to ourselves. Listen to yourself, trusts your instincts. Your heart will rarely steer you wrong! Fairy tales always say happily ever after comes right after a princess meets her prince. For Amy and Darien, that couldn't be farther from the truth. Princess Amy of the Moon Kingdom has led a sheltered life and dreams about escape. With a controlling mother directing her every move, she remains insecure in her abilities and afraid to disappoint her family. She doesn't lack courage, but seizing it, even for what she wants most, is harder than she ever thought possible. Amy's mother doesn't approve of the match, but she isn't the only one standing in their way... When Pond Water Prince tears them apart, Amy and Darien must fight for their love or lose that happily ever after...forever. 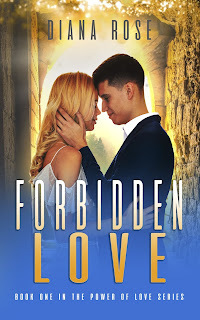 A Romeo and Juliet love story for a modern young adult audience, I greatly enjoyed Forbidden Love. Though Amy is a princess, her seemingly-simplistic life is turned on its head when she falls in love with Darien, prince of the earth kingdom. Amy's mother does not approve of the match and she sends Amy away. Though Darien finds Amy, their troubles are far from over as Amy learns about a brother she never had and the Pond Water Prince threatens to tear the two apart. And it only gets better from there! Though there is no shortage of conflict in this tale, be assured that Amy and Darien will find their happily ever after, but it will be quite a battle before they do. Diana Rose's debut novel demonstrates that a character is never too young to fall in love, and love has the power to win out in the end over any forces of evil that may threaten it. Escape into another world with this most unique story! 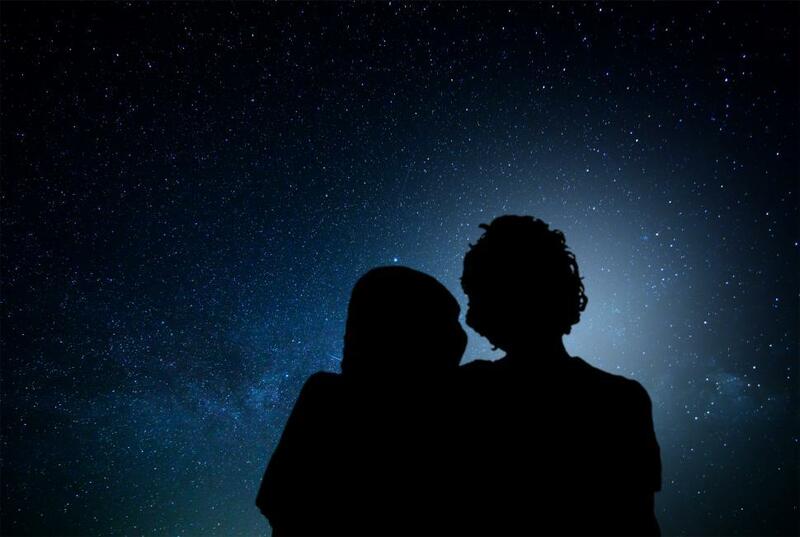 In another part of the universe, darkness was approaching quickly and the sky was veiled in its velvet blanket. Within a small isolated castle located in the farthest parts of the unknown, Pond Water Prince and his parents were plotting to absorb all powers from magical beings to gain immortality. By doing so, they would reign supreme over all else. Their sights were currently set on the powers of the Moon Kingdom. For years, Pond Water Prince and his family had tried to destroy Amy and her family, but they had failed continuously. They recently discovered Amy with Darien and planned to take both of their powers to get to the rest of the royal family. The job was entrusted to Pond Water Prince, who began to manipulate Amy’s dreams in order to weaken her and control her mind. In a matter of a few weeks, the dreams would slowly but surely took away the person’s strength and magic. Amy was a gentle person which meant that all she needed was a little push. As soon as Pond Water Prince had created a special series of dreams, he sent them to Amy. They were designed so that her mind would become vulnerable enough for Pond Water Prince to control her mind. With her distracted, he could begin his plan of destruction. No one would suspect that he was behind this. After all, Amy would be too weak to even begin to rationalize about what the cause of her weakened state was. It was the perfect opening to taking over the Moon Kingdom. First, the castle where Amy lived and then with Amy’s unsuspectedly helpful guidance, Pond Water Prince would take over the rest of the Moon Kingdom and the rest of the Kingdoms would follow. Pond Water Prince would wait until the mind-control dreams took effect before he kidnapped her to take her magical powers for himself. Amy always woke up in tears and she would hyperventilate after the nightmare she had seen. Now, all Amy thought about were those dreams. Amy became very sad. She did not know who sent the dreams, but she did not have enough strength to defeat whoever sent them. While she was asleep, her magic was slowly leaving her body.